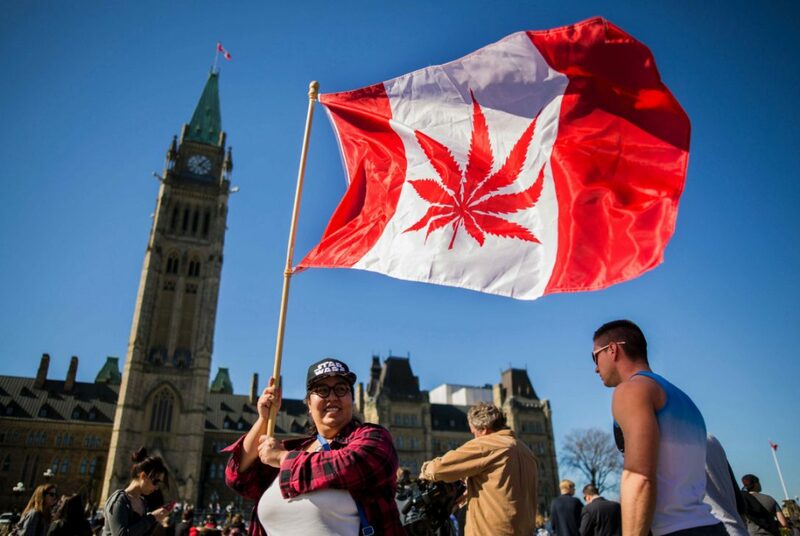 Canada is set to legalise marijuana for recreational purposes on the national level, although it is navigating between a large number of administrative and political obstacles, setting standards for other countries to follow in the future. If everything runs according to the plan shared with the media last month, the Canadian government will allow legal cultivation, distribution and consumption of cannabis to all adults starting from summer of 2018. The decision has been in the making for a while, as Canada is well known as one of the most liberal jurisdictions in this regard, but the full range of effects from such a dramatic overhaul of the nation’s laws can only be speculated about at this point. The experiences from other countries are limited, and it can be safely assumed that Canada is taking a vanguard role in the global process of cannabis laws relaxation. The government in Ottawa is publically acknowledging that the present model based on prohibition is unsustainable and taking responsibility for devising a rational approach that would be in sync with realities on the ground. The legislative process necessary to bring the cannabis trade into the legal streams is already well underway, with key bills having received the needed support. In March, the government announced the bill that will regulate the cannabis market, effective from July 1st, 2018. More importantly, President Trudeau and his Liberal administration appear to have the political determination to carry out the task, despite the expected opposition from more conservative circles. That said, marijuana remains illegal for the time being and traffickers will be pursued by the police in the period before the law comes into force. It is somewhat puzzling that a few high-profile marijuana activists were arrested for possession recently, so at the moment there is still some ambiguity regarding the feelings of the police. Under the new regulations, Canadians will be able to consume marijuana without fear of any penalties. No special permit will be needed to possess small quantities or grow up to four plants per household. Sales to minors will be prohibited on the federal level, but minimum legal age, as well as other details about implementation, will be determined individually by the provinces. Prices will also be set by the local authorities, although supply and demand are certain to impact this aspect. The Central government will have control over the licenses for dispensaries, which will allow it to maintain a degree of oversight of the measure’s practical application. In general, federal legislation will create the framework that will have to be complemented by additional procedures, so fully developed system is yet to take shape. Why is Canada doing it now? This is not happening overnight – current Canadian President publically embraced marijuana legalisation when he was campaigning for office, and curiously he lived up to his electoral promise. Legal change was also recommended by the special task force (headed by the former Justice Minister McLellan), which thoroughly studied the issue from multiple angles and decided that the current system wasn’t in touch with reality. The official reasons cited by the government include the wish to establish control over the marijuana market and ensure that criminal groups can’t take advantage of it. Positive experiences from the U.S. have probably influenced Canadian thinking up to a point, including the financial benefits arising from taxation of this huge market and reduced pressure on the enforcement agencies. What challenges can be expected? Considering the sheer size of the market and the sensitive nature of the matter, a few speed bumps on the road can be expected. Proscribing exactly who, how and where can sell cannabis and how much each citizen can get per month are only some of the practical questions that will have to be answered quickly. The law won’t be applied retroactively, but there is a possibility of an amnesty for non-violent marijuana offenders already serving sentences that could be considered. Legalisation on such a grand scale is also likely to draw in speculative investors, and ground rules need to be set up for the business side of the deal to avoid creation of monopolies. Such issues will be hotly debated as the planned date for legal change grows near. Canada’s complex political organisation might present a few dilemmas as well since it will be necessary to coordinate a large number of regional units into a coherent national scheme. Technically speaking, Canada is not the first country in the world to fully legalise recreational weed. Uruguay won that honour when it implemented its revolutionary legal reform in 2014, while several U.S. states including Colorado and Oregon also voted in full legalisation before their northern neighbours. However, Canada is the first developed nation to go through this process, and it is breaking new ground when it comes to strategic planning and macro-management of the legal cannabis industry. It’s fair to say that no one ever tried a project of this scope with this much forethought, so Canadian government should definitely get the credit it deserves for its far-reaching reforms. Should we expect international legalisation soon? While the news from Canada certainly encouraged pro-cannabis activists everywhere, it is way too early to hope for a global solution. Even if some politicians from other countries wanted to follow this example, it would take years to establish the broad social consensus and conduct all preparatory activities. Because of that, it remains unlikely that more than a handful of nations could join Canada as 100% weed friendly by the end of this decade. Long-term outlook does appear to be much brighter, with some of the traditional barriers against decriminalisation of psychoactive substances finally being broken down. If legalisation in Canada goes as smoothly and profitably as it did in parts of the United States, positive impact will certainly be felt around the globe.